Company bosses are being urged by the ICO to get their acts together and ensure their marketing practices comply with the law. Intelligent Lending Ltd, trading as Ocean Finance, sent more than seven million texts offering a new credit card powered by a major lender. This may sound like a lot of texts, but to anyone involved in broadcasting it simply isn’t. 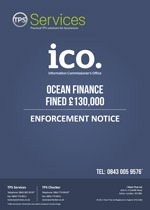 Manchester-based Ocean Finance believed it was complying with the law because the third party firm it obtained names and phone numbers from claimed it had people’s consent to send texts. It’s a common problem. Companies are simply too relaxed about the promises made by third parties and don’t undertake their own due diligence checks. In fairness though, the market is a changing place. The way the ICO is fining people now has changed albeit that the law hasn’t changed. So companies are now facing a change of stance as it were and it’s catching them off guard. One thing is clear though, howsoever the Information Commissioners Office are getting the message out, is simply not working so you can expect more confused companies to be getting fined in time to come. 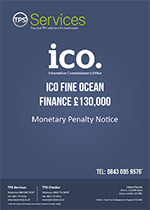 The ICO investigation found that the consent relied upon by Ocean Finance was insufficient to meet the requirements of the law. It’s your responsibility to make rigorous checks to ensure personal data has been obtained fairly and lawfully. It’s not enough to rely on the word of a third party. We have made it easier for people to report organisations responsible for unlawful marketing practices and they have in their thousands. What many companies simply don’t get is that they read articles about texting and think it doesn’t apply to them because they only email, but it’s exactly the same situation! As well as a £130,000 fine, the ICO has issued Intelligent Lending Ltd with an enforcement notice ordering it to stop sending spam texts.